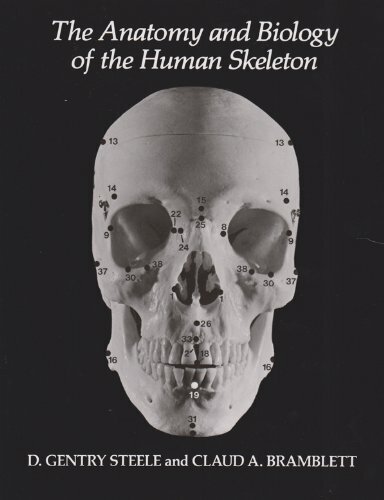 This handsome volume is the first photographically illustrated textbook to present for both the student and the working archaeologist the anatomy of the human skeleton and the study of skeletal remains from an anthropological perspective. It describes the skeleton as not just a structure, but a working system in the living body. The opening chapter introduces basics of osteology, or the study of bones, the specialized and often confusing terminology of the field, and methods for dealing scientifically with bone specimens. The second chapter covers the biology of living bone: its structure, growth, interaction with the rest of the body, and response to disease and injury. The remainder of the book is a head-to-foot, structure-by-structure, bone-by-bone tour of the skeleton. More than 400 photographs and drawings and more than 80 tables illustrate and analyze features the text describes. In each chapter structures are discussed in detail so that not only can landmarks of bones be identified, but their functions can be understood and their anomalies identified as well. Each bone’s articulating partners are listed, and the sequence of ossification of each bone is presented. Descriptive sections are followed by analyses of applications: how to use specific bones to estimate age, stature, gender, biological affinities, and state of health at the time of the individual’s death. Anthropologists, archaeologists, and paleontologists as well as physicians, medical examiners, anatomists, and students of these disciplines will find this an invaluable reference and textbook.